Swindon, England; April 1980. XTC, those four local lads made good, have received a gold record for Drums and Wires, their third LP, and there's dancing in the streets. Freeze frame; reverse. Could we have a close-up of that gold record, please? Well, actually, it's a gold record from Canada; the album sold 50,000 copies. Now pull back to a long shot of the town. Looks pretty quiet. Poetic license! The action is over here; see that park? That small group of people cavorting on the grass—that's the band, a photographer, a record company press officer...[Yawn] Roll 'em. To memorialize this joyous occasion, XTC is posing with its newly-acquired trophies for an al fresco photo session. For one they lie in a row on their backs, eyes closed, hands folded on stomachs; the framed gold records are propped up for tombstones. Humor (in all its shades, not just black) is an XTC trademark. Singer/guitarist Andy Partridge chose the band's name for easy visibility when scouring the music press for references to them. His witty lyrics reflect a bubbly if not downright giggly personality, but the rest of the band—singer/bassist Colin Moulding, guitarist Dave Gregory and drummer Terry Chambers—are also genuinely friendly, down-to-earth types. Given XTC's spotty chart success in the past, their lack of pretension is a useful survival technique; a more self-conscious band would have committed mass suicide by now. One way XTC retains its perspective is by staying based in Swindon, a grey, low-profile railroad center (population 100,000) 70 miles west of London. “This place must be duller than Akron,” Chambers observes dryly, but the band seems to enjoy its cultural isolation compared to the capital's neurotic trendiness. New York, New York; October 1980. Partridge, Moulding and Chambers are circulating about Virgin Records' Greenwich Village offices, strategically dividing and regrouping to handle as many interviews as possible. Gregory, the newest and shyest member, is in midtown hunting (more) guitars. Yes, XTC is in town to kick off another soul-destroying tour. But wait! Is the band condemned to suffer these periodic torments indefinitely? Not really. 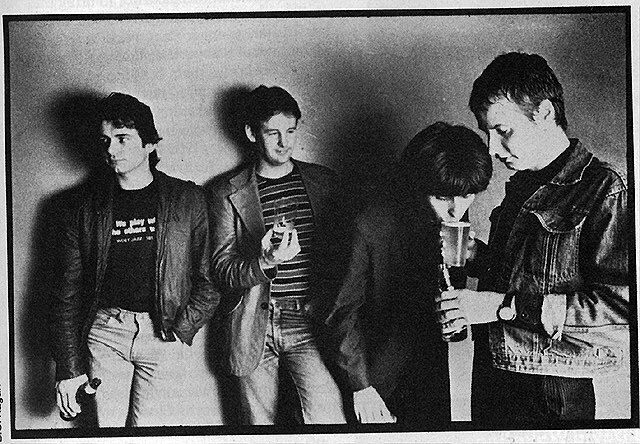 Unlike the Drums and Wires tour, which had them playing almost six nights a week for two months, XTC's schedule is less brutal this time—largely because most of the time they're supporting the Police, an act big enough to demand a day off for every two shows in a row. Some groups might resent a second-fiddle position, especially if they'd been together four years, released four albums and seemed perpetually on the verge of making it big. XTC, though, isn't one of them. Flushed with relative success, XTC next released the prophetically titled “Wait Till Your Boat Goes Down” 45 in England. It did. Fast. Fortunately for the band, they were too busy slogging their brains out on that first full tour of the US to notice that “Boat” rose (sic) to number 75 before sinking without trace. After recuperating in Swindon, XTC put together Black Sea this summer. The first 45 from the album, “Generals and Majors,” put them back in the record charts' good graces. Its follow-up, “Towers of London,” built on the momentum. For the moment, the US remains immune to XTC—but they have a friend in Robert Stigwood. The band's ringleader admits he's not much to look at. Andy Partridge's close-cropped blonde hair frames a high forehead, eyes hidden behind spectacles (offstage), a prominent nose and thick lips. The lips are almost always curled in a smile, though, and out of that forehead have come some of the most ridiculously clever—sometimes just plain ridiculous—songs anyone has recorded in the last three years (“I'm Bugged,” “Life Is Good in the Greenhouse,” “Reel by Reel”—you get the idea). As usual, he is dressed in black: black slacks, black shirt (over a white “Santa Dog” T-shirt, however) and black sneakers. Also as usual, he maintains a cheerful attitude even while nursing a cold, dreading that evening's one a.m. show and recalling XTC's last American tour. Black Sea was produced by the ubiquitous Steve Lillywhite, who first worked with XTC on Drums and Wires. “We wanted to do it ourselves,” Partridge says, “but the record company—” “They don't trust us,” Chambers breaks in. “They still think we're a bunch of jokers.” The drummer wears a white T-shirt, blue jeans and brown boots. If not as fanciful in his language as Partridge, he's no less forceful in his opinions. “Rocket from a Bottle”—“just a straightforward ‘I'm exhilarated’ song”—and “Sgt. Rock” (“the most irrelevant song on the album”) are clearly in the former category. The other extreme, however, provides Black Sea with its most intriguing moments. “No Language in Our Lungs,” according to its author, deals with the impotence of speech. The album's most controversial (and, significantly, concluding) track is sure to be “Travels in Nihilon.” The title comes from Alan Sillitoe's surreal novel about an anarchic European country opened up to outsiders for the first time after World War II. The band creates an almost unbearable seven-minute block of sound; chaotic music and a threatening, chanted vocal fuse over a tribal drumming pattern. The purpose of this aural assault is rather personal. “It just got out of hand in the studio,” Partridge concedes. “We created a bit of a Frankenstein. Actually, there were two and a half minutes of drums cut out of the intro [for engineering reasons; Black Sea still runs close to 50 minutes]. 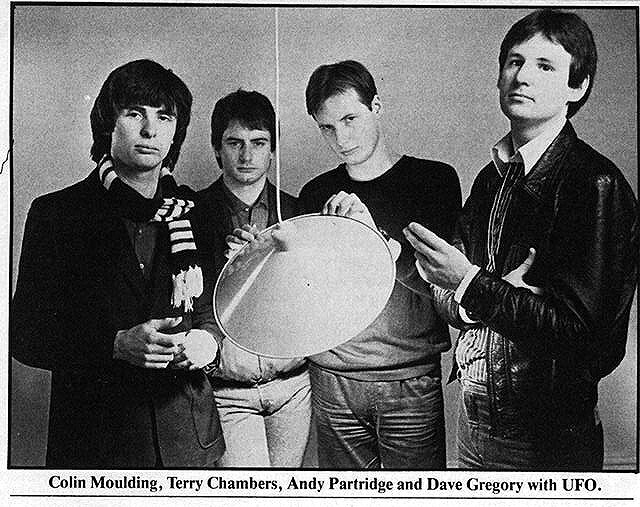 Colin Moulding is the closest XTC comes to Group Heart-Throb. A shock of dark hair frames his face and accentuates dark, heavy-lidded eyes. Like Partridge, he dresses XTC Casual: tweed jacket, linty black cords, new white sneakers. 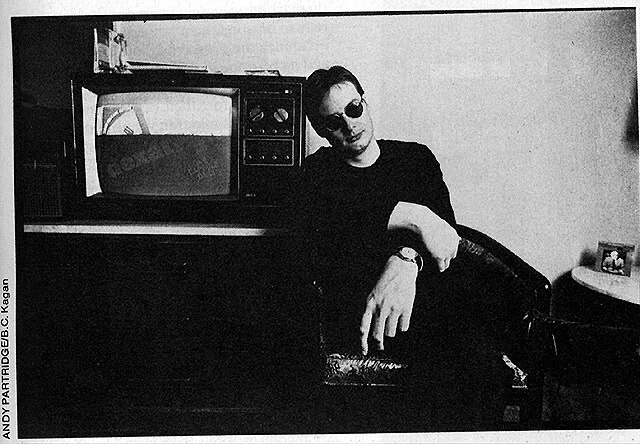 Moulding is the band's “other” songwriter, not as prolific as Partridge, yet his tunes have consistently been XTC's most popular singles (“Life Begins at the Hop,” “Nigel,” “Generals and Majors”). Partridge's own solo activity is marked by a fascination with studio technology. He contributed a 20-second “History of Rock 'n' Roll” to Morgan Fisher's Miniatures compilation, and early this year released Take Away/The Lure of Salvage, a dub LP made up of XTC recordings. He experimented with the dub technique of rearranging individual tracks two years earlier with Go +, an EP based on Go 2. Take Away might have been therapy to keep Partridge from thinking about the dismal failure of “Wait Till Your Boat Goes Down,” a gloomy dirge which he claims is the best song he ever wrote. XTC's unpredictable fortunes are tied to a minor identity problem. Most English bands fall easily enough into certain categories—ska, punk, heavy metal—but Andy's gang may be too clever for their own good. Aside from a penchant for crunching rhythms and eccentric lyrical concepts, XTC refuse to be pigeonholed. Fans like to relate to a tangible image; Partridge, with his contempt for the vicissitudes of fashion, doesn't make it easy. How many other rock musicians paint miniature soldiers?